Drive By is a gripping tale for young adults about a prank that goes horribly wrong! 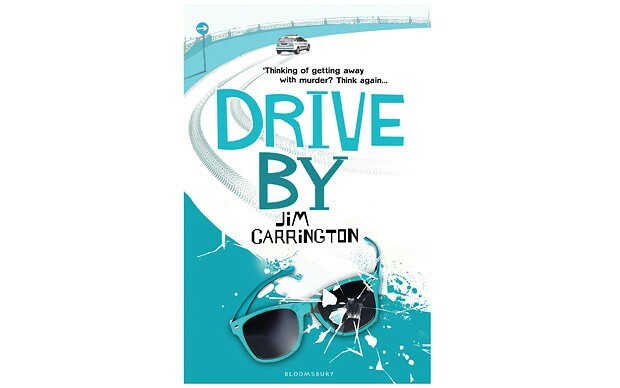 Jim Carrington has a sure touch when it comes to young adult fiction and his latest novel, Drive By, is another realistic, gripping tale about teenagers in trouble. Bullying was the subject of his excellent first novel, Inside My Head. In Drive By, a schoolboy prank goes horribly wrong and the story brings into sharp focus a key issue for any emerging adult: how and when do you take responsibility for your actions. On one hot summer’s day, a group of friends, including the central character Johnny, spot a sour old woman who has previously destroyed their football (“that witch has knifed the ball”) after it flew into her garden. They exact revenge in a drive-by shooting – with water pistols, this is Raynes Park not South Central LA – shocking and drenching her as she sits in the passenger seat of her husband’s car. The unintended consequences are tragic because the woman suffers a heart attack and ultimately dies. Johnny, alone among the group, is tormented by what has happened. He suffers nightmares and is plagued by what he believes to be ghostly visitations.